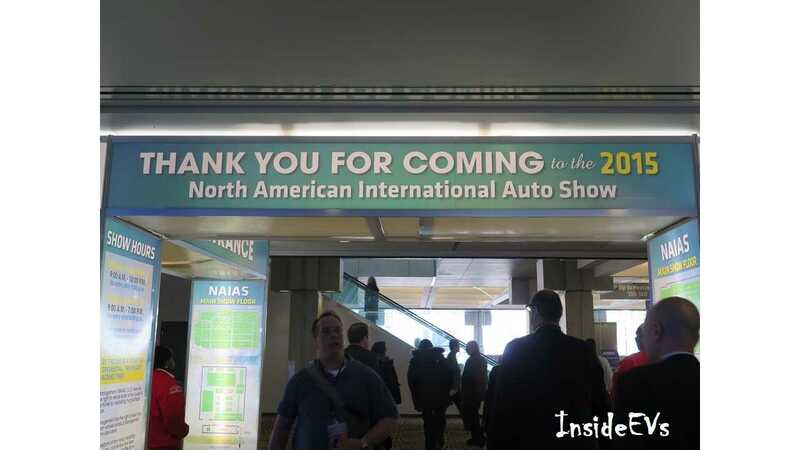 While the 2015 North American International Auto Show (NAIAS) officially opens to the public on Saturday, January 17th to the public, we have now pulled up stakes as the press days Monday (12th) and Tuesday (13th) have passed. 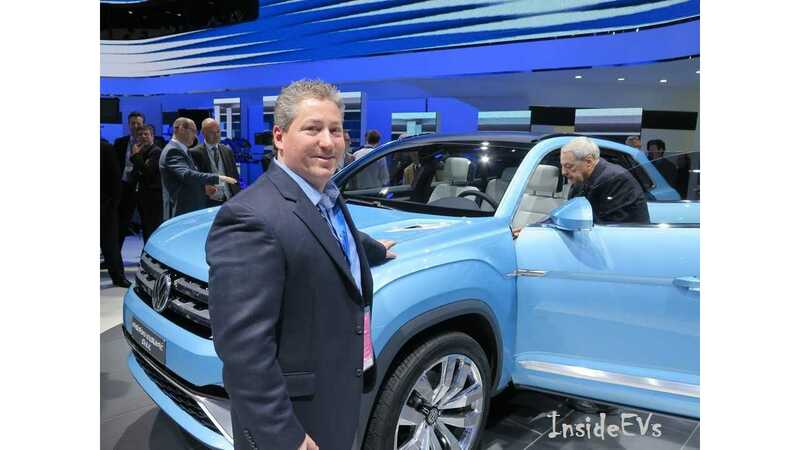 So its time to review what we saw when it comes to plug-in vehicles in Detroit - as well as some of the more obscure images we caught along the way. 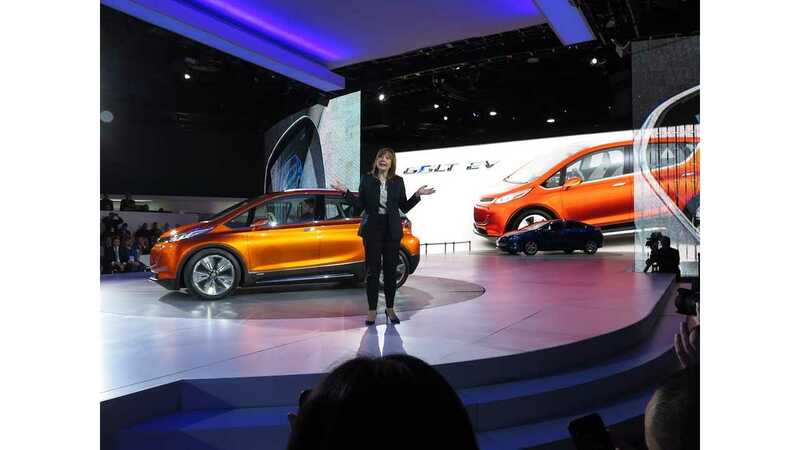 General Motors was the first automaker out of the gate with a press conference scheduled for 7:30 am Monday morning. 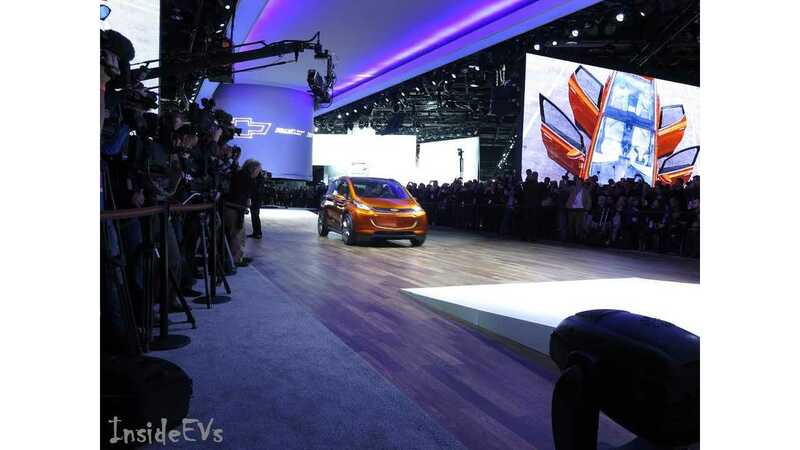 And with two high profile debuts in store (2016 Volt/Concept Bolt EV), they pretty much jack-assed Nissan's press conference which was scheduled next at 8:00 am...as well as every other automaker for the day, as all headlines from the show would center on GM's new plug-ins. 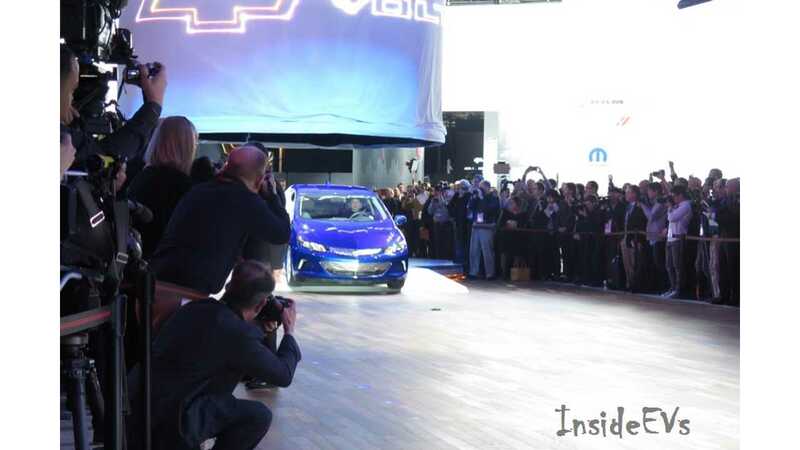 Not wanting to miss anything, as the next generation 2016 Chevrolet Volt (now with 50 miles of EV range) is a big part of what we report on, we got to the show early. How early? Pretty much with the event crew. 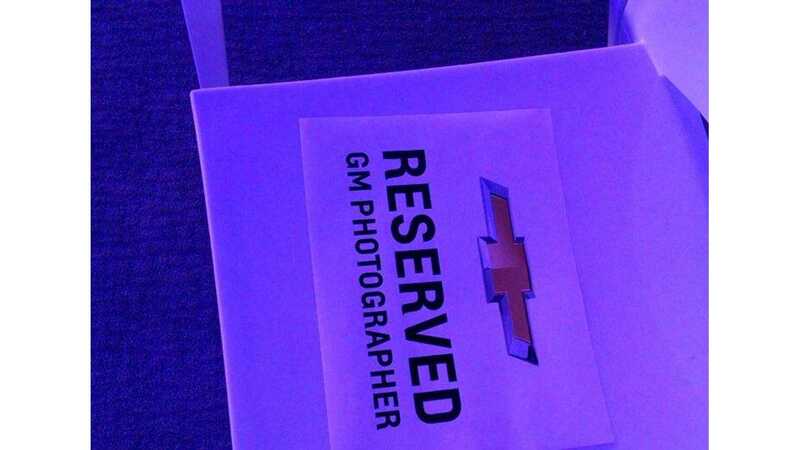 Which meant front row seats for InsideEVs! A couple hours later the event was underway! ZOMG! Totally Didn't Know It Was Under There! 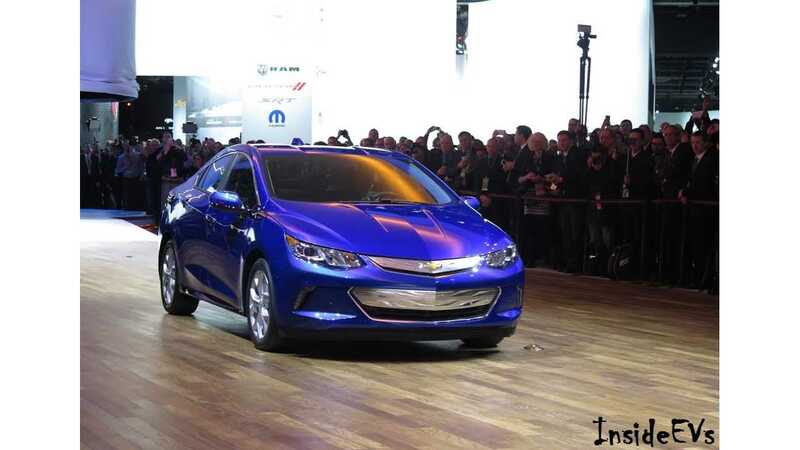 2016 Chevrolet Volt - Looking Good! 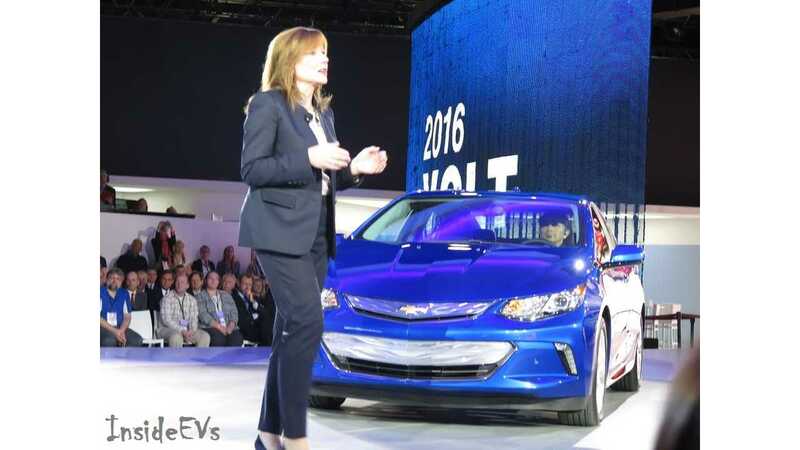 General Motors was hoping for a "AHA! We got you!" 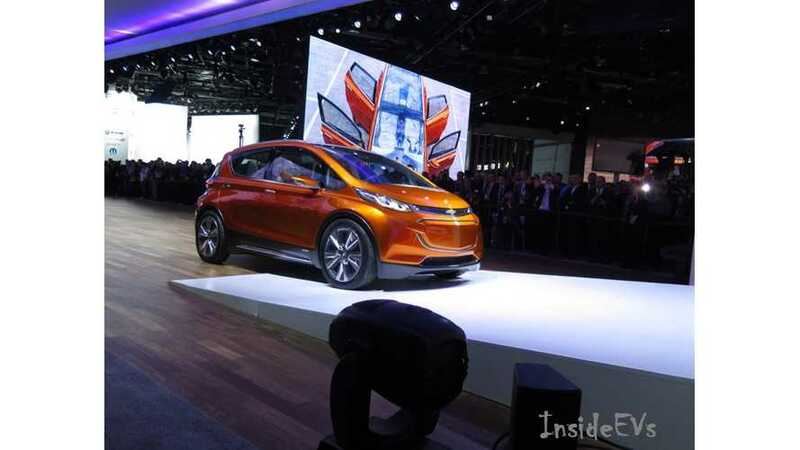 moment at the 2015 NAIAS introducing the Bolt, but the cat was out of the bag 24 hours early as word leaked out that GM would be debuting the "200 mile" EV they have been promising for some time now in the flesh. 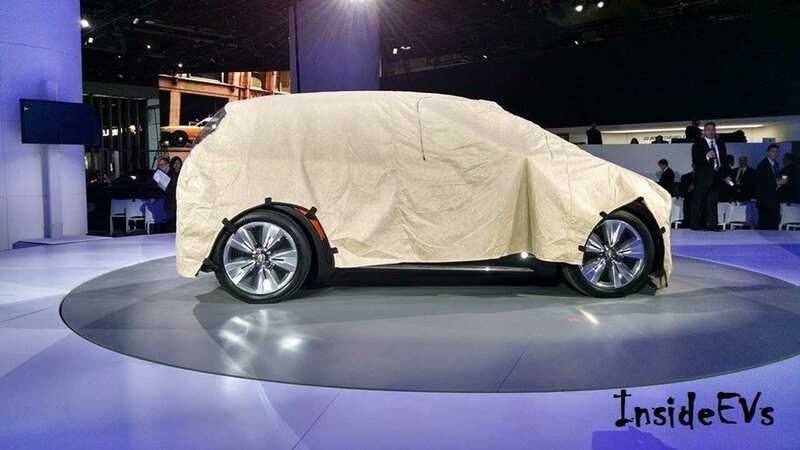 Once again before the party got started there was stealth blankets making the car's presence imperceptible to the human eye...thankfully we had our EV-detecting K9 with us and figured out the Chevrolet Bolt was in the building. 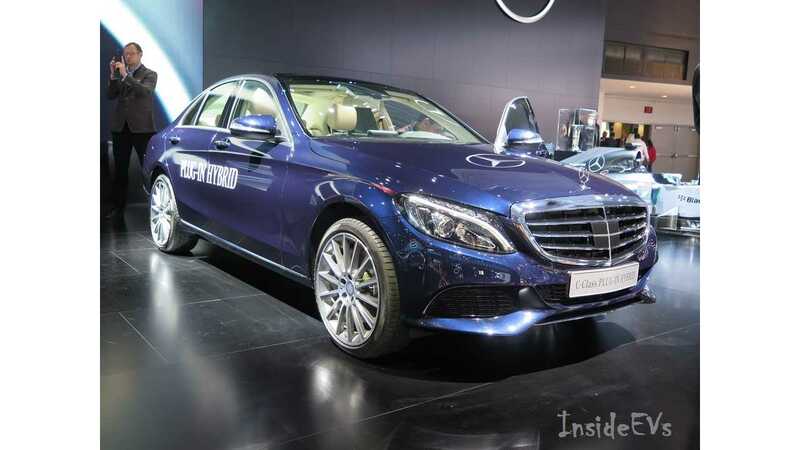 Yeah, Right At The Front You Unwashed Masses From "Traditional" Auto Magazines! GM CEO Does The "Walk & Talk" Again For The Chevrolet Bolt...Occasionally Even Lowering Her Hands To Her Hips! 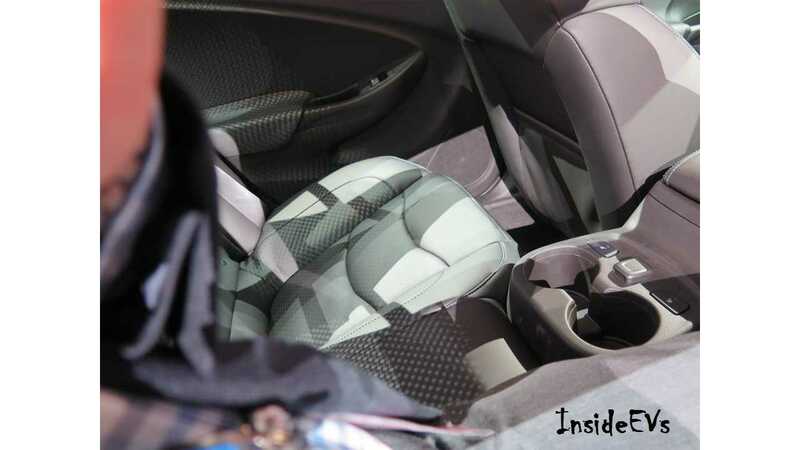 It should be noted this is a concept in the truest sense, the interior still needs work, the rear center console didn't survive the show, and we spotted "the controls" before the car was locked up. Hrm, Us? 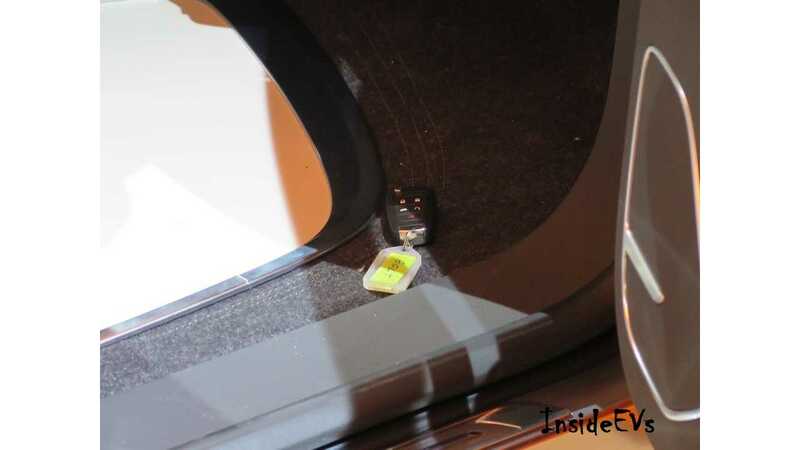 No We Haven't Seen Where The Bolt Went...You Didn't Drop Your Keys Anywhere Did You? But to be fair...they are right darn next to each other even on the keyboard and we have chubby fingers. 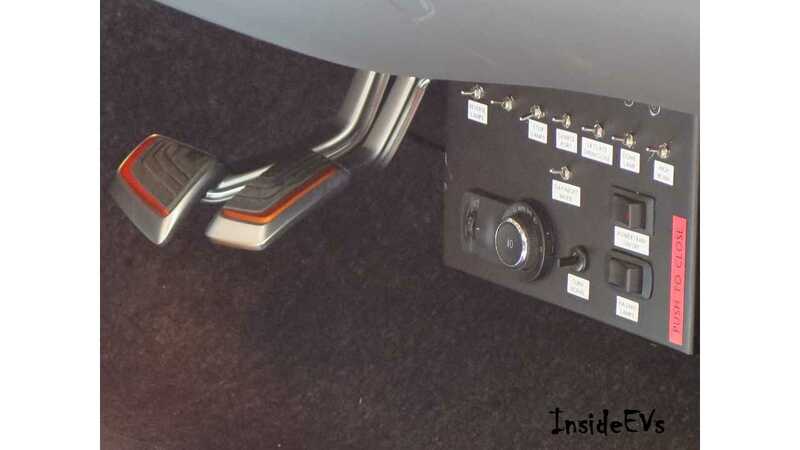 Hey Chevy, want to make an easy Hamilton? 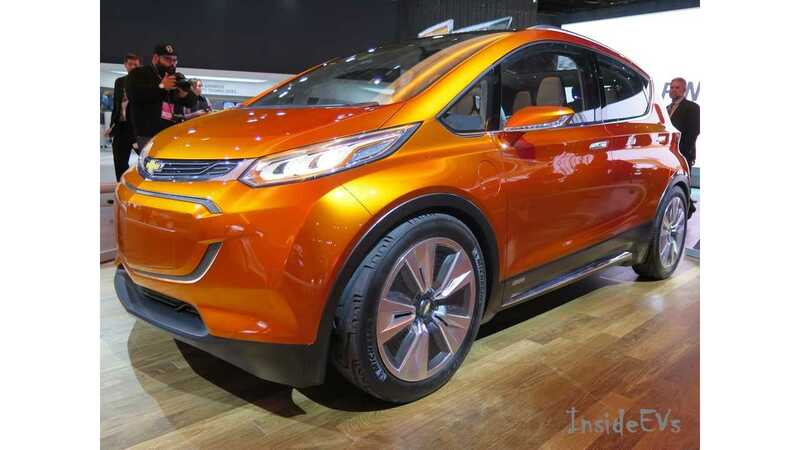 Call the Bolt something else when you put it into production in 2017! 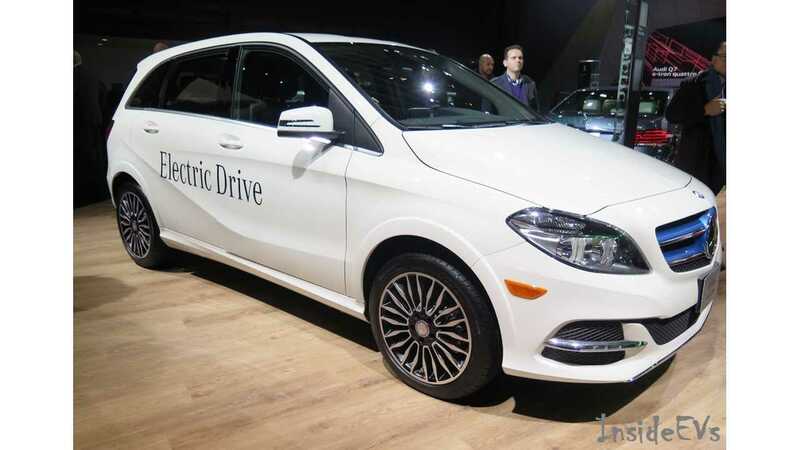 2015 Mercedes-Benz B-Class Electric Drive Looking A Little Sportier - And Now With Standard Range Of Over 100 Miles Too! 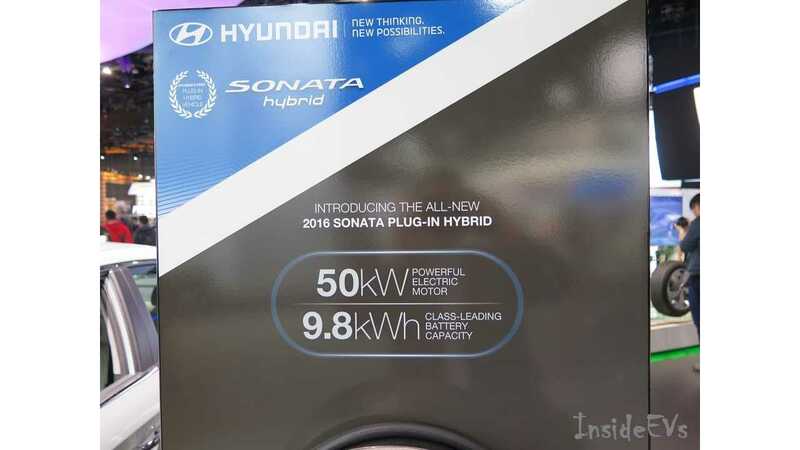 Despite resisting the EV revolution for a long time, Hyundai is now in the extended range plug-in game in a big way with the Sonata PHV. 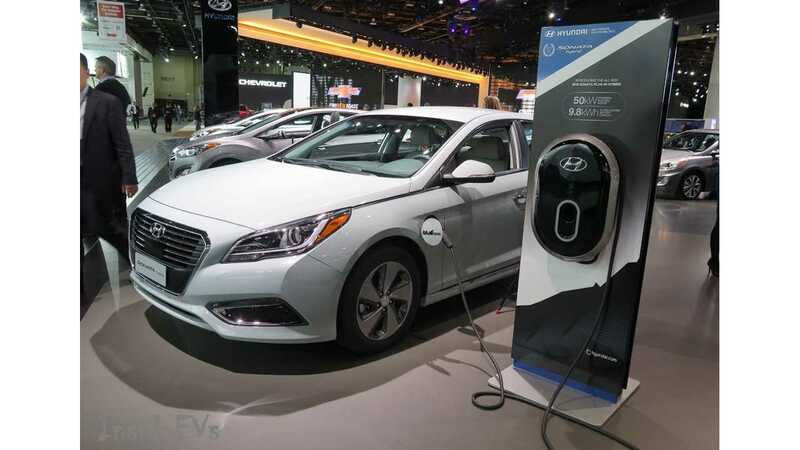 The car has a range of 22 miles via a 9.8 kWh battery (so good for almost $5,000 worth of federal credit) and a parent brand known for pricing their cars reasonably. 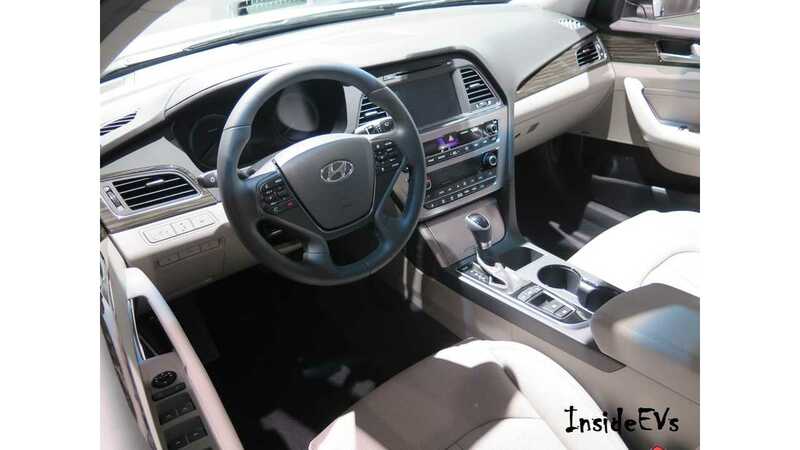 The electric Sonata should do well in 2015...or at least in the 10 states that Hyundai has committed to so far. Where Else Are You Going To See A Live Shot Of A Sign? 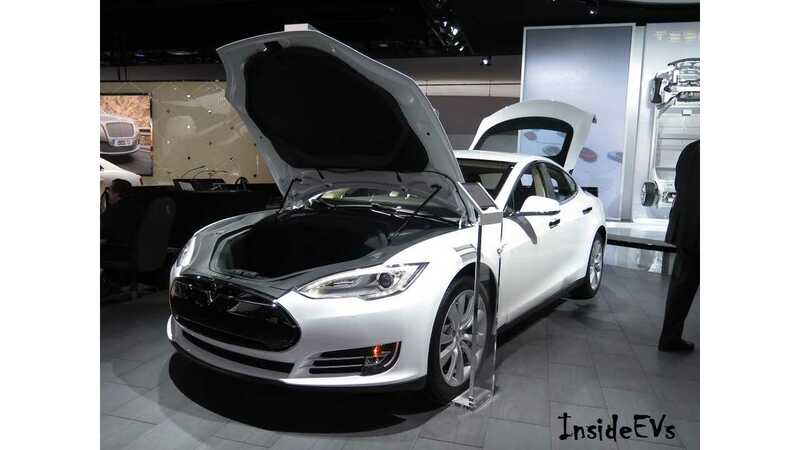 InsideEVs Has You Covered! 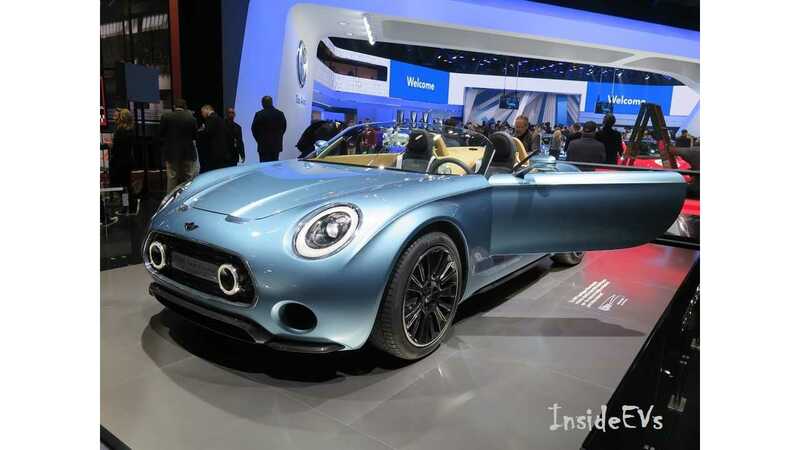 We really love the Mini Superleggera. 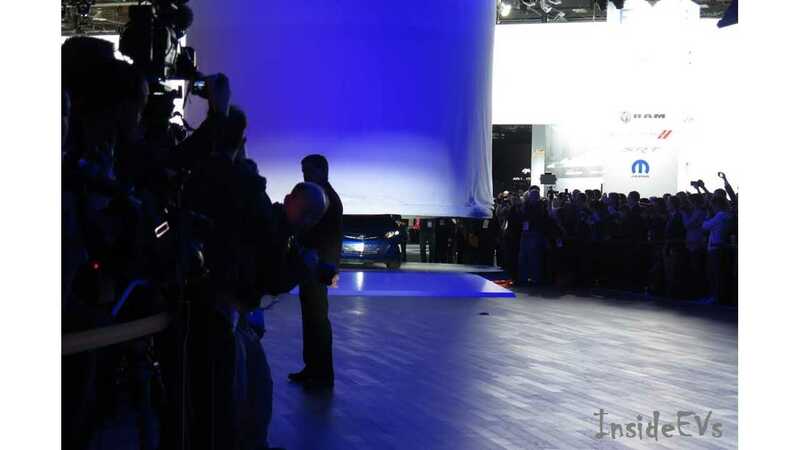 However, Mini/BMW says they still haven't made a production decision on it yet.  We have a little poll around the office if it will indeed see the light of day, and even though I was personally outvoted that it would not...I'm still right. Whats that? 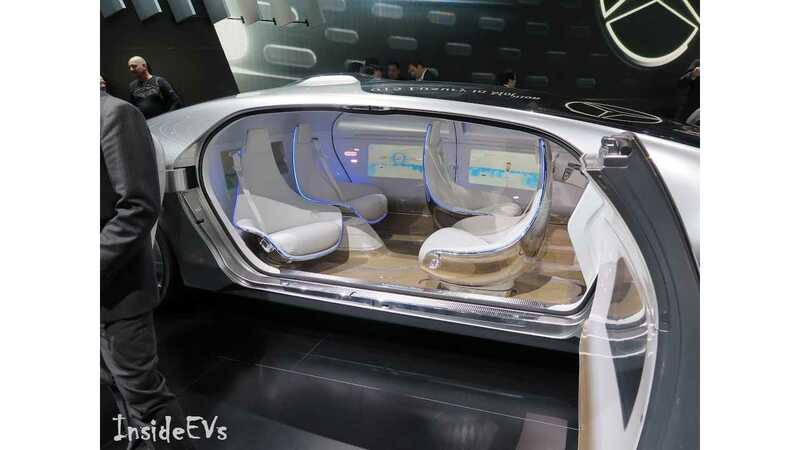 Where are the land-whales powered by electricity these days you say? 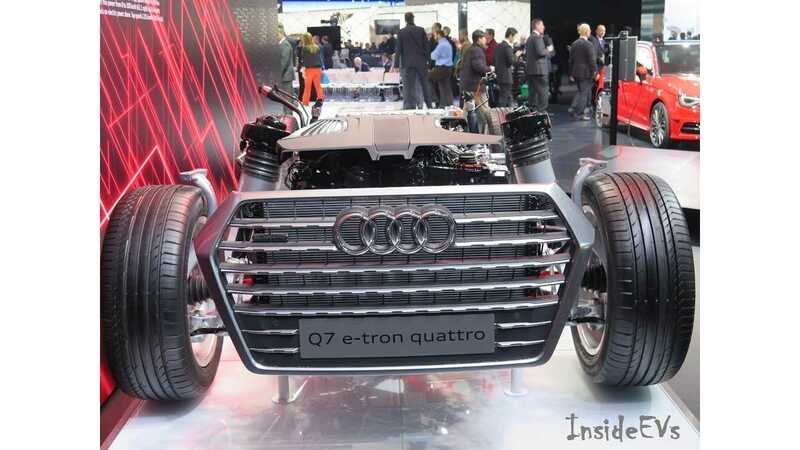 Well, Audi has you covered with the Q7 e-Tron. 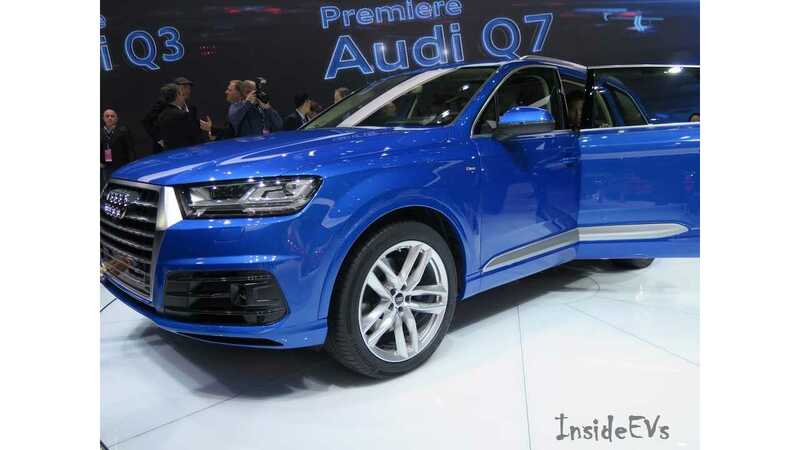 The full-size SUV with a plug arrives "a short time" after the regular Audi Q7, but still this year. 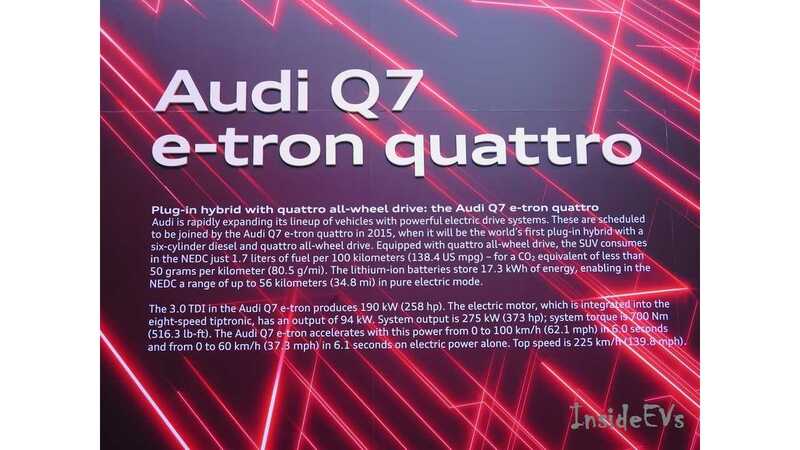 Range of the Q7 e-Tron is listed at 34.8 miles/56 km, but only because Audi was too lazy to print up a new sign for the US (more on that later). 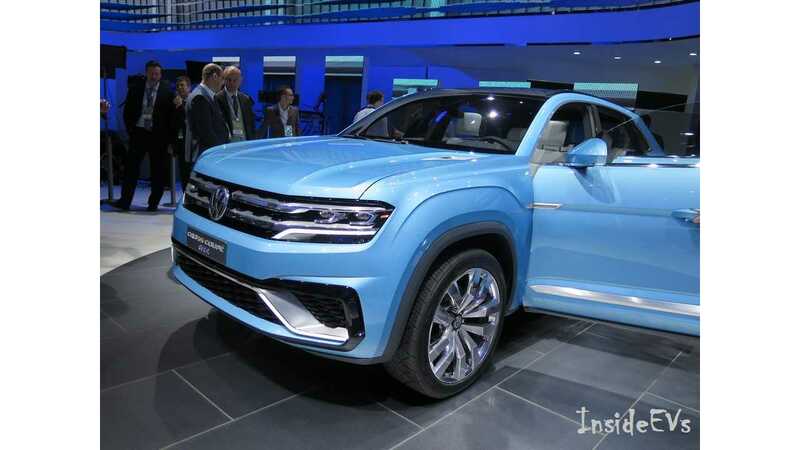 Converting the range to the US EPA standard (not Euro-NEDC) and 25 miles is a more realistic expectation. Yupe, Another "Live" Shot Of A Sign - You People Are So Lucky! 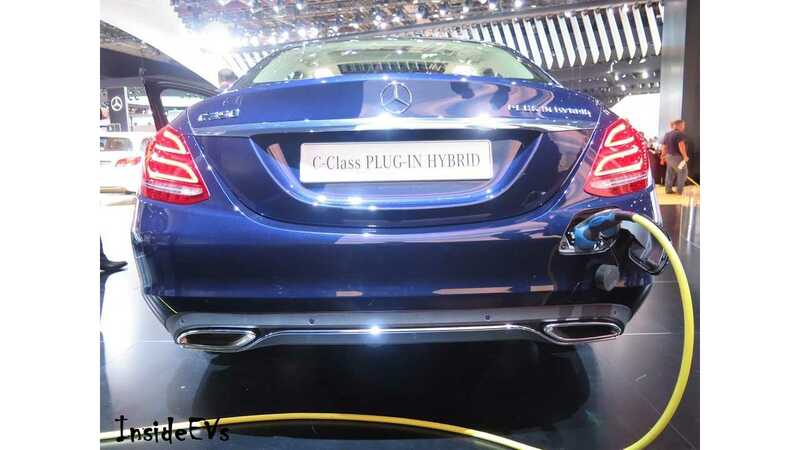 What Couldn't Put The Plug In On Top Of The Roof Or Under The Car Mercedes? 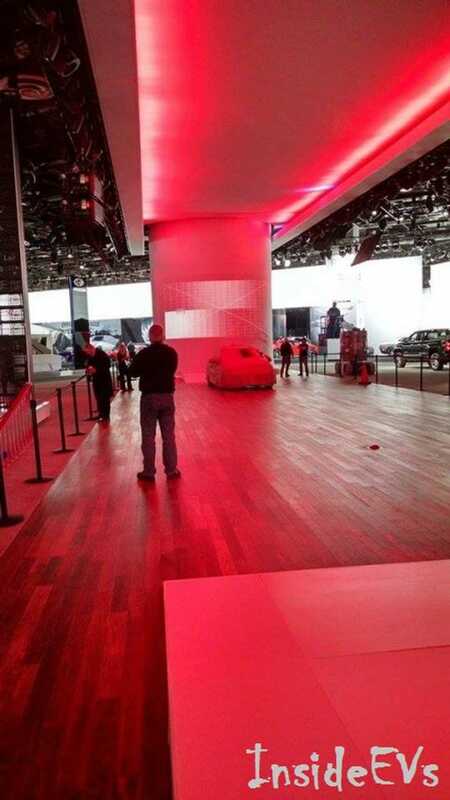 The Tesla Model S in "D" trim arrived in Detroit, but the Model X continues to evade the public eye. 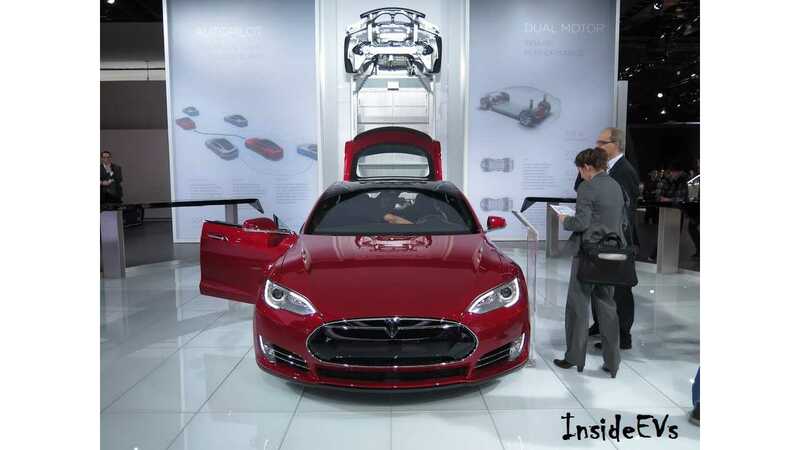 Tesla also showed off their new executive seat package - something the market in Asia has apparently been waiting for. ...and that is it. 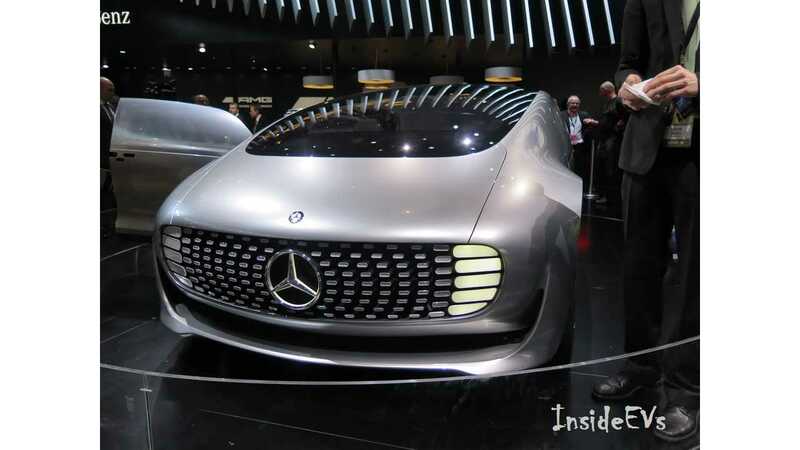 Nothing else to see at all at the 2015 NAIAS. Ok, that is a total lie perhaps not true, there is lots of other production electric vehicles in attendance to kick the tires on - well worth a visit to the show to check out. Those featured above are just the "new and improved" of the flock. 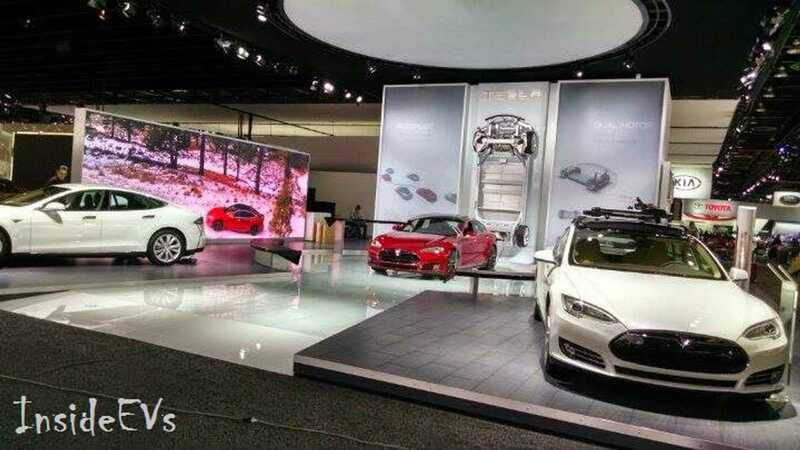 Next up: Chicago Auto Show In February! Here is some other photos from the show that didn't make the cut!